Being away from home for 1.5 months now, leading Workshops non-stop since September! Today we were talking with the guys about Iceland's cold vs Scotland's cold, and this image came to mind. 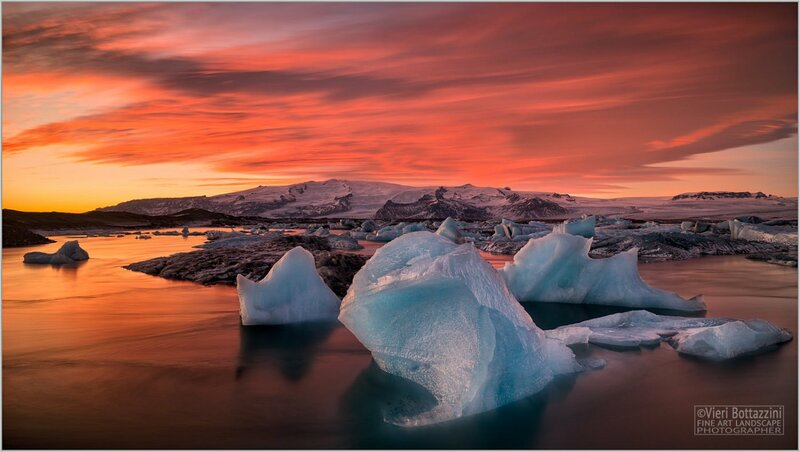 Jokulsarlon at sunset, taken in December 2017 with Leica SL, Leica Super-Elmar-M 21mm and Formatt-Hitech Firecrest Ultra filters. spectacular! I think the north is quite magical... I have spent three years in the Yukon territory and was totally in awe before this frozen beauty! Wonderful shot. Admire your work. Thank you very much Adam, glad you enjoyed it! Thank you very much, that is truly much appreciated indeed!